We have created a total of eleven topiary trees this holiday season, three of which hold center stage in the Conservatory Lobby. Jason Cameron, our Facilities Engineer, made three magnificent frames that are eleven, nine and eight feet tall. The frames were wrapped in coco fiber sheeting secured with zip ties. 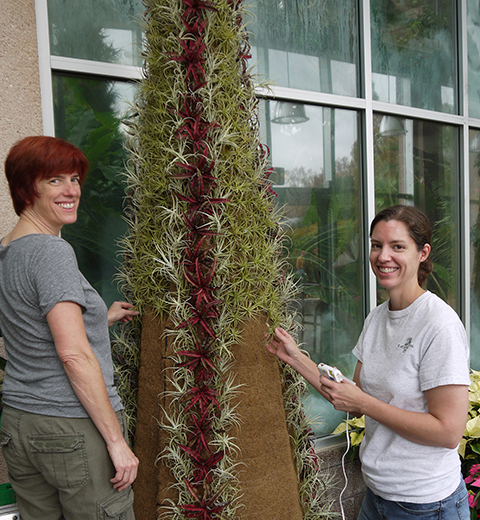 Volunteer Leslie King and FOC Horticulturist Sarah Carter attach Tillandsias to a topiary tree. 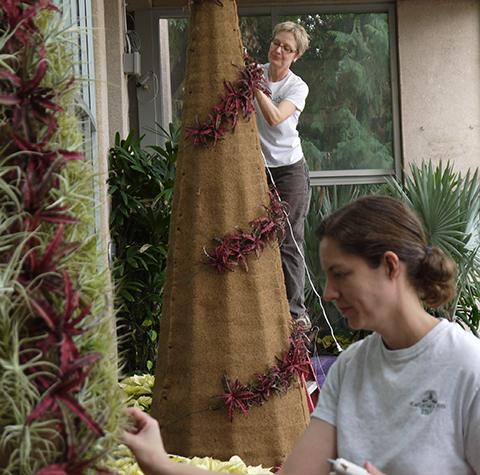 We then glued about 3500 Tillandsia (small bromeliads) directly to the coco fiber. Sarah created a different design for each tree. Cryptanthus 'Ruby' are arranged in a spiral pattern on tree number two. 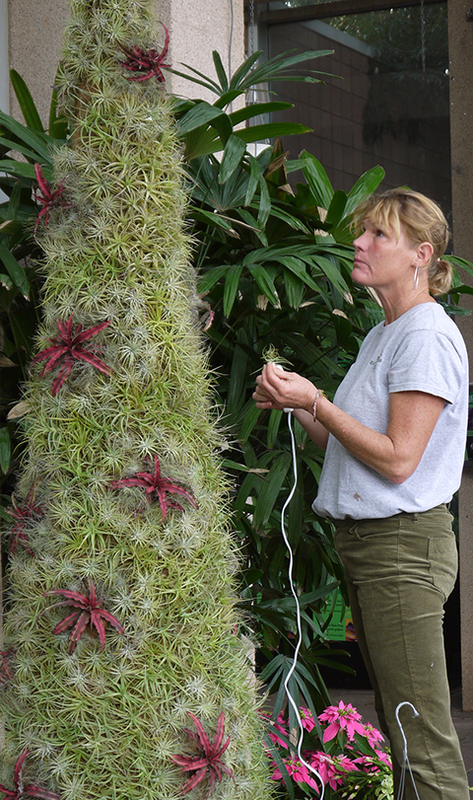 These particular Tillandsia species do not have an extensive root system. Once the glue has set we will mist them two or three times a week. The Cryptanthus (Earth Stars) contrast nicely with the Tillandsias and complement the color of the Poinsettias in the beds below. 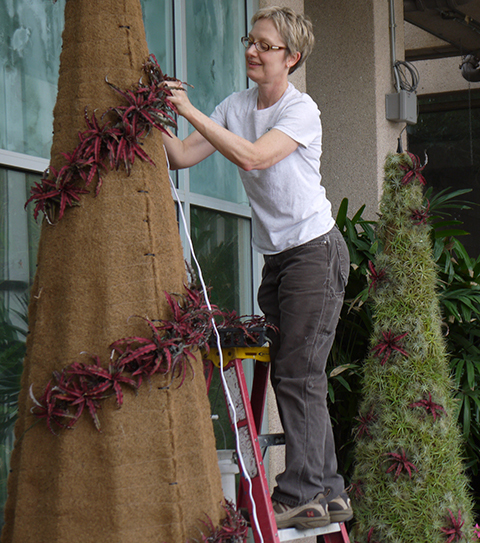 Floriculturist Holly Cooper nearly finished with our third tree. The Garden Lights, Holiday Nights Volunteer Preview is tonight. See you there! Thank you to Sarah Carter, Holly Cooper, Matt Richards, Jason Cameron, Julia Rittenhouse, Leslie King all of whom contributed to this very labor intensive project!